Ad Runner Mobile Billboards also works for many leading national and local advertising agencies and media buyers. 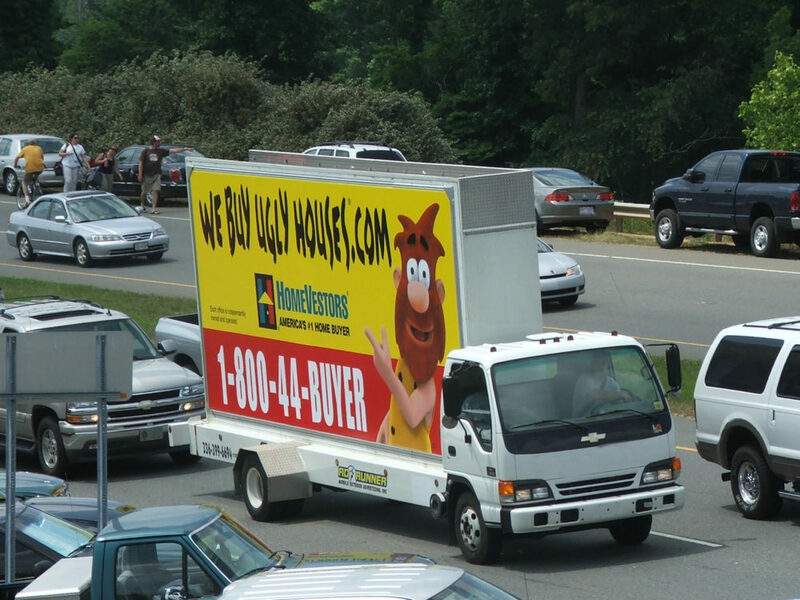 For the best in outdoor media, Ad Runner Trucks can compliment your mobile billboard advertising campaign with traditional static billboards along the roads and highways in Alabama. We can travel with your customers anytime, anywhere in Alabama, 365 days a year. With today’s advertising market and demands, outdoor mobile media is one of the most effective and efficient forms of advertising.